As I’ve been very busy with ‘real’ work lately in our food safety business developing a new website and running the office I’ve been reaching quite gladly for various Insanely Good sauces on the days that I am strapped for time. 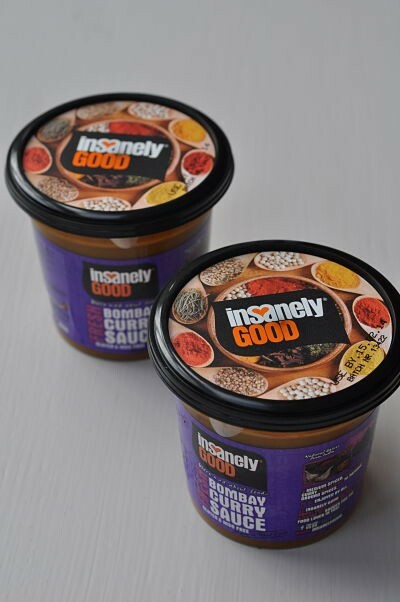 Insanely Good Sauces are Irish and produced in West Cork and are now being stocked in Dunnes Stores – you’ll find them in the fresh pasta section. The kids love this Bombay Curry Sauce and I’ve been ramping up the vegetable content with some chopped onion and frozen peas. Insanely Good describe it as a ‘medium-spieced, family-friendly curry containing 10 natural ground spices’ so it should please most palates. To prepare this Indian Feast roughly chop some onions and add to a heated pan with a little oil along with chopped chicken. 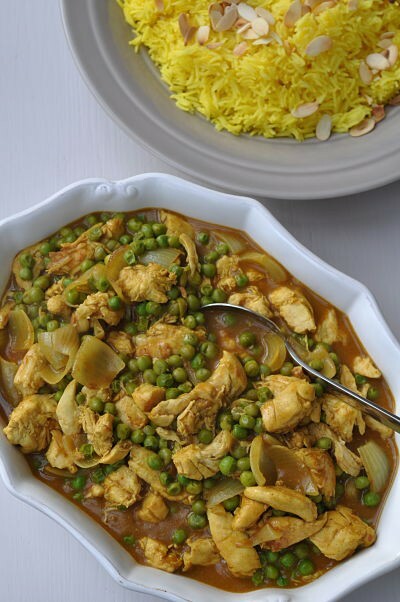 When the chicken is cooked I semi-defrost frozen peas in a jug of hot water then strain them and add them to the pan along with the Insanely Good Bombay Curry Sauce. 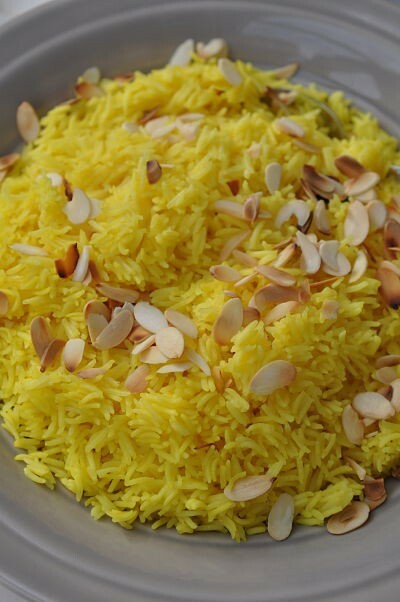 Vibrantly colouring your rice by adding a tsp of turmeric to the cooking water as it cooks makes it visually more appealing and is also good for you. Add a little texture by dry-frying some flaked almonds but watch them carefully as they will burn quickly. 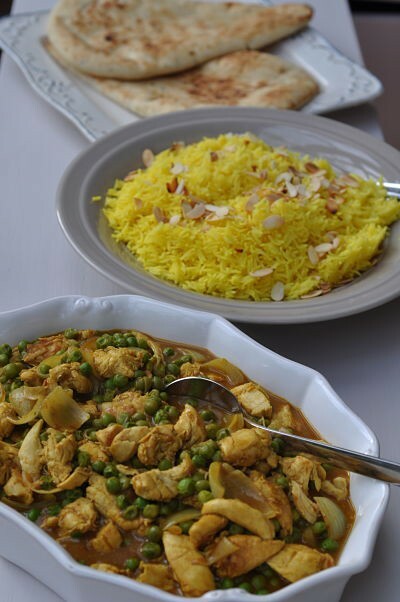 No Indian Feast is complete without some tear and share naan bread which is great to mop up the Insanely Good sauce! I just got a chance to look at and discover your blog and site. It’s classy, fresh and informative. Thanks very much for the exposure for Insanely Good. It needs all the help it can get to get it out there to be honest.